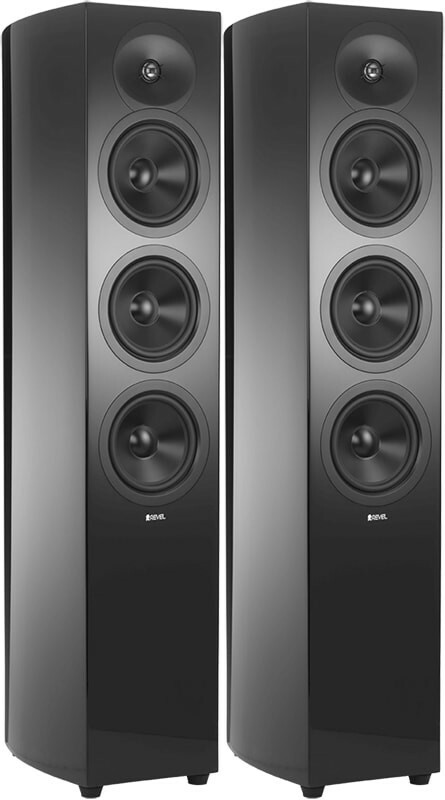 F36 is a true full range 2 1/2-way 6.5” floorstander designed to provide true high-end sound quality. Earn 2295 loyalty points when you order this item. 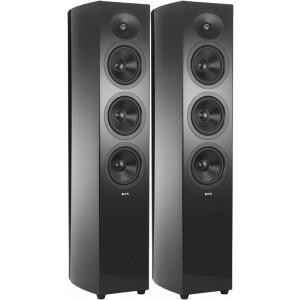 Revel Concerta2 F36 floorstanding loudspeaker was designed to deliver outstanding accuracy over a remarkably wide frequency range. The 2.5-way triple 6.5” floorstanding loudspeaker has the ability to provide performance worthy of the most demanding entertainment systems. It will deliver an impressive combination of wide frequency range, uncompressed dynamic range and low distortion across the entire audible spectrum. High frequency response is supported by 1" aluminum dome tweeters that were derived from Revel’s Performa3 series. Low/Mid range frequency response is supported by 5.25” Aluminum cone woofers featuring low-distortion motor-structures for greater clarity and accuracy with improved sensitivity and output capability. Revel engineers use state-of-the-art computer modeling tools during transducer design to optimise everything that affects performance. Laser-based analysis of the resulting prototypes confirms ideal symmetry, which results in lowered distortion and cleaner sound quality. And Micro-Ceramic Composite (MCC) cones insure ideal piston-like performance, eliminating resonances that would otherwise color the sound. The patented wave guide design improves tweeter to woofer blend and significantly improves off-axis response for consistent performance over a wide listening area. In doing this, Revel sacrificed no details by making sure no fasteners were visible allowing the speaker to show enhancing smooth lines of the cabinet and magnetically attached grilles. To finish the enclosure we selected high gloss black and white finishes to highlight the features of this beautiful speaker. A novel technique of cabinet construction was used to create Concerta2 enclosures that are not only beautiful, but also have rigid, curved side walls plus extensive bracing that result in a strong and inert enclosure. This ensures that the enclosures do not contribute coloration to the sound. Using a patented Constant Pressure Gradient (CPG) technology in the port design, the Concerta2 ports are designed such that the inner wall of the port is contoured, allowing the change in pressure along the axis of the port from inlet to outlet duct be kept substantially constant. This design reduces the compression, or change in sound at different volumes that is present in other port designs, and optimizes both the output capability and distortion. Revel engineers created a tweeter with a mechanical resonance that is well below the operating band which ensures linearity and consistency in the crossover region. Advanced design methodologies have allowed the tweeter/midrange crossover to be set an octave lower thereby improving the critical system directivity. The Concerta2’s sophisticated high frequency waveguides match the off-axis response, or directivity of the tweeter and the midrange throughout the crossover thereby making a clear difference between what is a “mechanical reproduction” and the seamless sound of real music.